With his thick athletic build, crew cut and well-groomed mustache, Keesler can cut an intimidating figure at first glance. But as soon as he starts talking, the tough-guy image quickly fades. Wearing an almost constant grin and slinging a pocketful of deliberately cheesy one-liners, the soft-spoken tour guide, 50 States Marathon Club member and Chicago manager of City Running Tours is friendly, talkative and always on the move, which is appropriate considering that six mornings a week he leads a series of historical running tours through the streets of Chicago. Founded in 2005, City Running Tours is described on its website as “a team of running enthusiasts that provides an opportunity to experience a city in an exciting way.” Currently operating in ten US cities (Austin being the most recent addition), the basic concept is an athletic spin on the standard historical walking tour. Registrants can choose from a list of pre-scheduled tours or request their own personalized tour based on what they most want to see and how far they want to go. 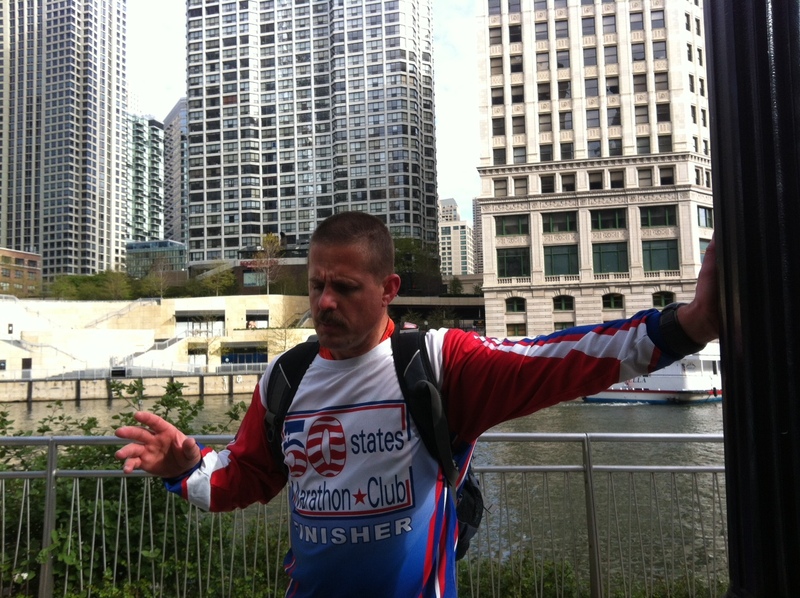 Currently, the most commonly offered tour distance is the 5K (manageable as a workout but long enough to qualify as a bona fide run), of which Chicago has three: Grant Park, Chicago River/Navy Pier and Chicago Tragic Events. Of the three, Chicago Tragic Events is by far the lengthiest, clocking in around an hour and forty-five minutes. But it’s also the most memorable, with guides recounting four of Chicago’s most indelible tragedies while traversing the busy morning traffic. This one offers the most extensive discussions and the shortest distances between stopping points. 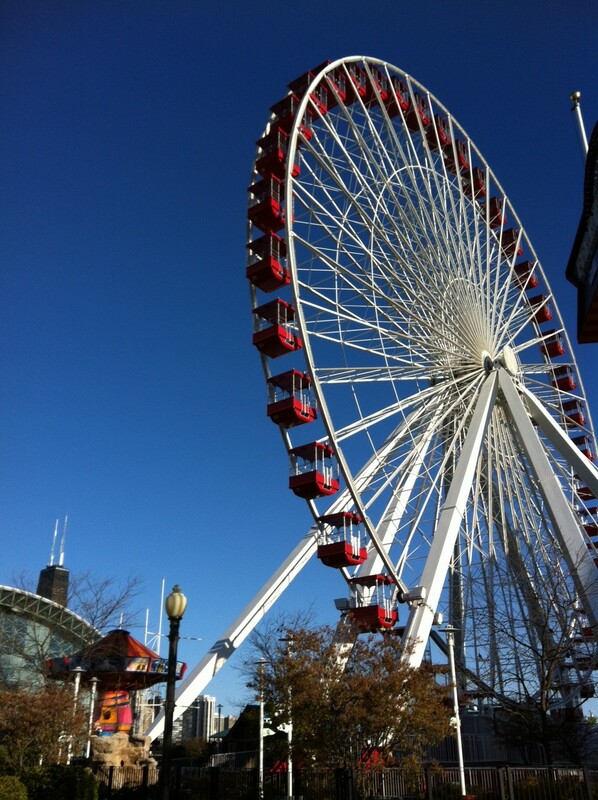 Meanwhile, both the Grant Park and the Chicago River/Navy Pier tours include clearer pathways and much longer sections of solid running, with Keesler or one of his assistants occasionally darting ahead to snap action shots of runners hustling by notable landmarks and other impressive backdrops. Even for a Chicagoan, both Navy Pier and Grant Park are different experiences in the pedestrian-light early morning hours. And even if none of the information from the tour is retained (Why does the Chicago River run backwards? How did the banks of Lake Michigan expand so far east? ), the resulting pictures (uploaded to a Flickr account and freely downloadable) are a nifty addition to any runner’s travelogue. “But we use the bad ones as blackmail,” Keesler adds with his trademark grin. Throughout the tours, Keesler seems as overtaken with the city as the tourists he’s leading, frequently gushing things like “Man, look at this architecture!” and “This route just never gets old!” This is also his preferred story-telling style, often finishing anecdotes with, “And there’s even cooler stuff ahead!” He’s certainly not one to underplay historical significance. course) co-sponsored by Friends of the Chicago River, between seventy-five and 150 spots will be offered per tour and stationary guides will be located strategically along the route to offer additional insight in various locations. The collaboration is planned for late April through early May and is intended to mix the ecological mission of Friends of the Chicago River with the environmental theme of the Chicago River/Navy Pier tour. Marlin closes the tour with the message “Our environment can be very forgiving if we are responsible custodians.” Part of the proceeds will go toward protecting and preserving the Chicago River. While this partnership should bring an increase in awareness for Chicago’s City Running Tours, it seems like the popularity of the sport alone is already doing that. Once a sport with limited appeal, running is increasingly becoming very mainstream; in 2003, the Chicago Marathon sold out in thirty-five weeks; this year, it sold out in six days. And Keesler is definitely seeing the effect of running popularity on his tour sales. 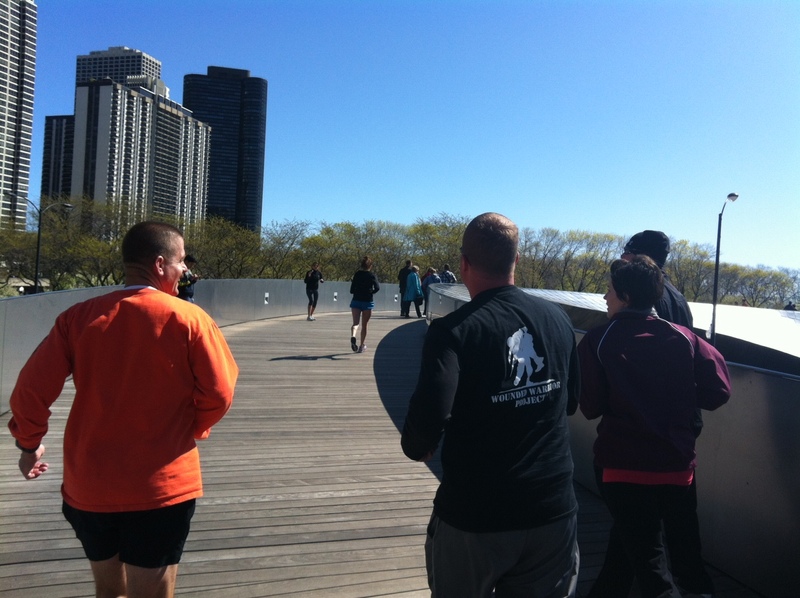 Last year City Running Tours of Chicago led a total of 367 runners; this year they’ve already surpassed that number. And it’s only April. It sounds like Keesler may not be stopping any time soon. Visit cityrunningtours.com for more information on upcoming runs and to register. Weekday runs are $35, social runs are $25-$45, and personalized runs are $75 and up.